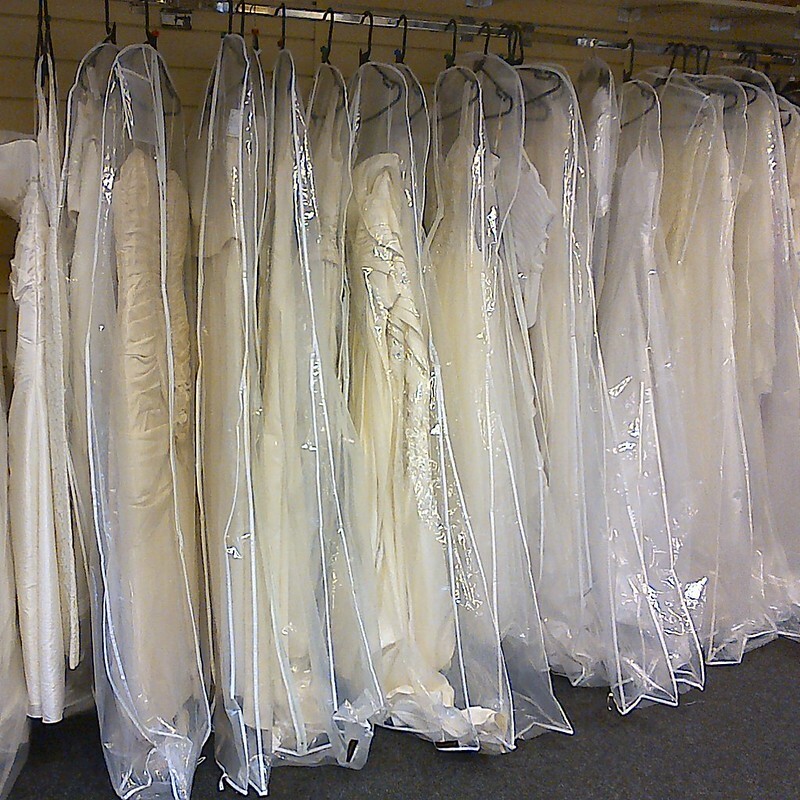 Buying a wedding dress can be a daunting prospect. and I can understand why people might just go to one of the many bridal boutiques or high street bridal retailers to make it a bit of an easier process. However, the range of styles in these shops can be rather limited as they are dictated by current trends, and you're not necessarily getting the best value for money. It was my intention to buy a vintage wedding dress, and even though that's not what happened in the end (I bought a vintage style one), I did a lot of research, so you might as well benefit from what I've learnt! This post is aimed at beginners - those who probably don't know that much about vintage in general. 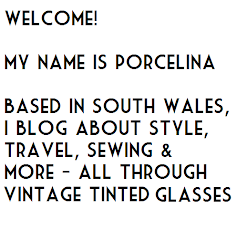 If any of you are vintage experts then please feel free to add some more tips in the comments section, I'm sure they'd be very much appreciated. Read on for my tips. Where can I find a vintage wedding dress? Vintage dresses have become more popular, and you can now find dedicated vintage bridal boutiques. These places can be rather glamorous and will give you the same kind of experience that you would get in a 'normal' wedding dress boutique - you make an appointment, you're ushered into a softly carpeted room, you sip prosecco and get one-to-one assistance and advice, and eventually people cry and gasp and the dress is chosen. The dresses in these boutiques tend to be in near-perfect quality, they will have been professionally cleaned, seams repaired and buttons replaced. You can also find vintage wedding dresses in the all of the usual places you would find other vintage clothing. There will be vintage shops, online sellers (try Ebay and Etsy), but don't forget to keep an eye out also in charity shops, car boot sales and flea markets. Some charity shops have dedicated bridal shops where you will most probably find 1980s dresses more commonly, but you'll occasionally get something older. Don't forget to ask family members - most people save their wedding dress for nostalgia and may have one hidden away in the attic. Finally, if you love vintage styles but don't like the idea of wearing a dress that has been worn before, then consider one of the many companies these days that make new dresses to vintage patterns, or find a local seamstress that can make up your design. 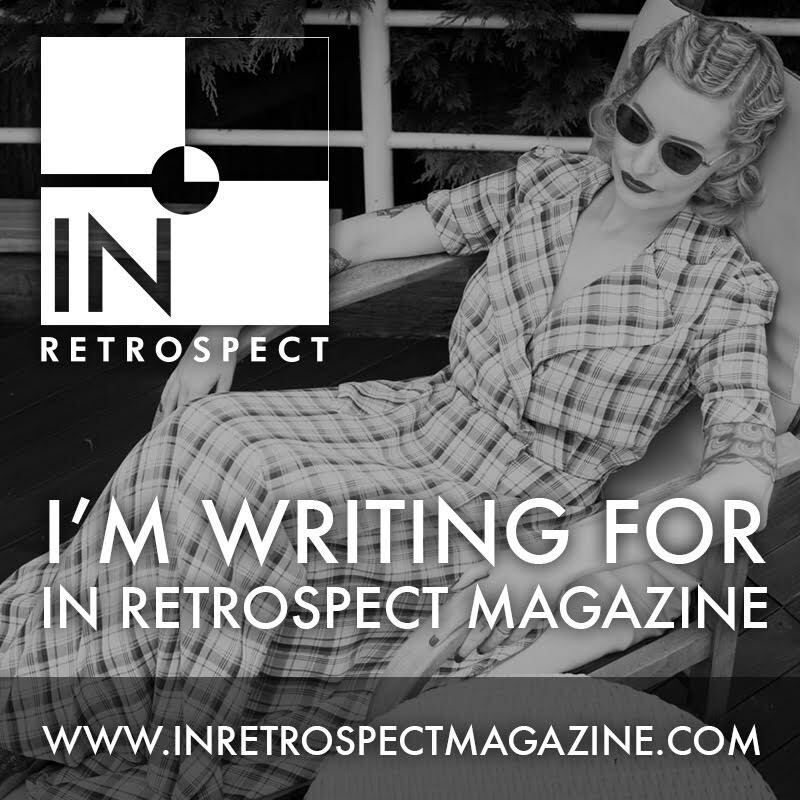 Have a look at my ideas for wedding dresses in the style of the 1930s here and 1940s here. You may be lucky enough to find a rare 'deadstock' wedding dress that is vintage, but has never actually been worn, but these will be rare. I've heard vintage sizing differs from modern day sizing, how do I ensure I get the right size? First of all, have someone help you to measure yourself accurately. Take not just bust, waist and hip size, but also your shoulder measurement, arm circumference etc. Generally, people were smaller, as we have got taller over the decades with better nutrition, but don't be put off from buying a vintage dress thinking that they are all in very small sizes. There are larger sizes out there, but this may require a little more hunting. Don't forget that dresses can be altered too, read about a bride here who had a 1940s dress made backless so that it would fit her. A good vintage seller will label their dresses with the measurements not just the approximate modern size. If there aren't any measurements, then have a tape-measure handy and do a quick measure of the dress yourself to see if it will roughly fit. This does save any embarrassing moments when trying to get into something that's far too small, and you don't want to risk damaging a dress. Knowing your measurements is also immensely helpful when ordering online, but don't forget that the dress needs to be a little bigger than your body measurements. Try measuring a dress that you know fits you well as a comparison. The right underwear will help with sizing and fit. It's not necessarily that figures were dramatically different in past eras, but underwear certainly was. Try on a 1920s style dress with a modern push-up bra, followed by a soft non-padded bralet, and you'll see what I mean. You might need to get hold of a bullet bra to make the bust of a 1950s dress look right, and shapewear can help trim a waist a little if a dress is only slightly too snug. How do I store a vintage wedding dress? 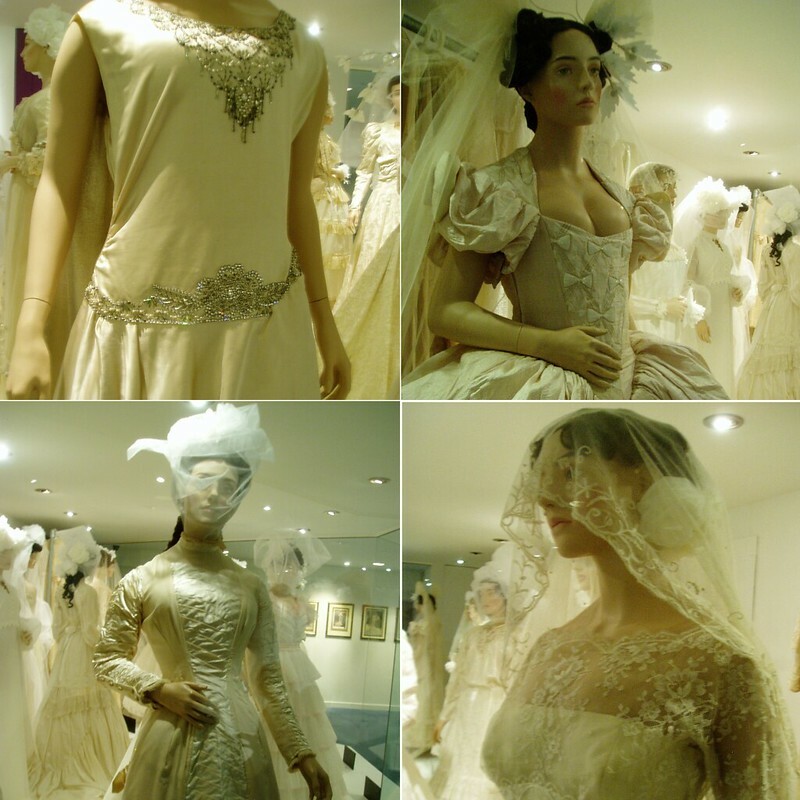 If you're buying from a vintage bridal boutique, they will store the dress for you until your wedding. If you're buying from elsewhere, you will probably have to take the dress home with you there and then. This does mean that you will have to carefully think about how you will store the dress until the wedding. You will also want to think about how you store the dress after your wedding, as you may want to keep it to pass on to family in the future, or just keep it for your own nostalgia. Avoid storing a dress in those plastic garment bags. The fabric can become mottled and you may not get the marks out of finer fabrics. Also avoid cardboard boxes and tissue paper unless they are special clothes storage ones. The acidity in the card and paper can leach into the fabric of a dress. Until you find a suitable way to store your dress, one of the options is just to wrap it in a clean cotton sheet and store it somewhere free from damp. My mother's 1970s polyester dress was terribly mottled with brown patches from being stored for three decades in plastic, but fortunately she was able to remove the marks by soaking the dress in stain remover. If the fabric had been silk, it probably would have been ruined. You can buy natural-fibre garment bags that are specifically for storing clothing for long periods of time, try looking online. Finally, there may be some particular things to consider depending on the type of fabric you have. Velvet shouldn't be folded, as lines may appear and might be impossible to get out. A bias cut dress that is fairly heavy shouldn't be hung for long periods of time, because it will gradually stretch downwards and you may end up with a dress much longer than you had originally. Dresses in a charity shop. They shouldn't be stored long-term in plastic! How much does a vintage wedding dress cost? The price can be as low or as high as a new wedding dress. You may find one for free from the family attic, or you might find one that costs just as much as a new designer dress. A quick search for "1960s medium wedding dress" on Etsy turned up dresses costing between £30 and £800. Don't forget to factor in some money for alterations - even when you buy a brand new wedding dress from a boutique, you will have to pay on top of the dress price for fittings and alterations. With a vintage wedding dress you may also need to pay to have it cleaned professionally, to have minor repairs done, or to have it hemmed to the correct length. How do I find the style of dress I want? If you end up searching online or speaking to vintage dress sellers, then understanding the right vocabulary will make your search so much easier and you'll be able to pinpoint far more quickly what you're looking for. 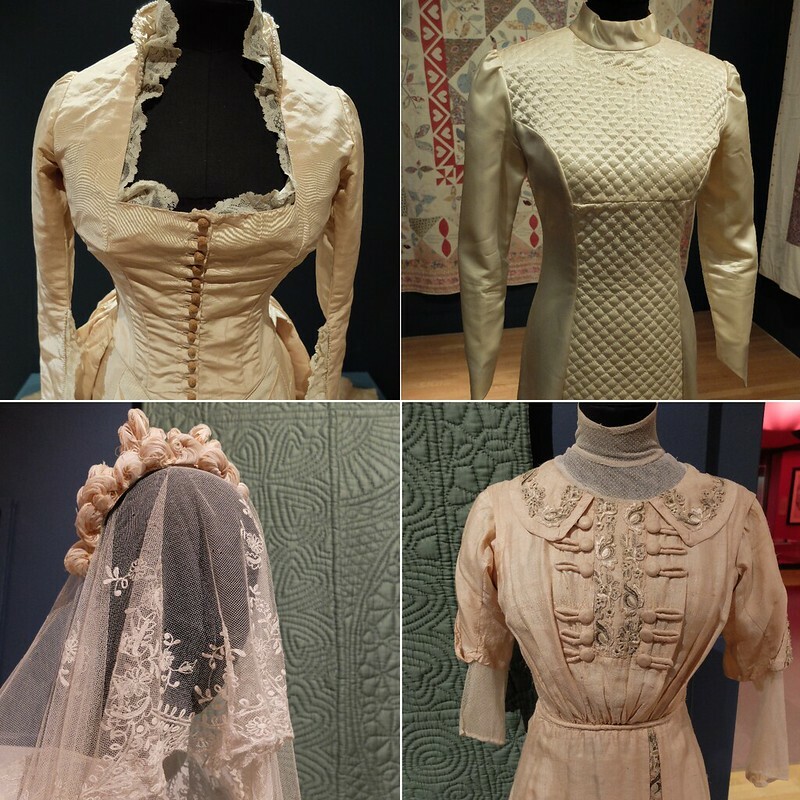 I found it really helpful to go along to museum exhibitions featuring wedding dresses, and also to look at pictures online or in books of dresses from different era. Don't forget as well that the dress doesn't have to actually be vintage, or from the era you like, it can simply be in that style. Other options are decades that mimic earlier decades (e.g. "1970s does Edwardian" or "1980s does 1950s"), or simply finding a dress that has the rough style that you like and accessorizing it to make it look more vintage than it actually is. A great example of this is 1980s dresses, which tended to have the tight bodice and full skirt of a 1950s dress, but with lots of ruffles and bows on top. If you removed the puff sleeves and ruffles, the silhouette would actually be quite 1950s. Why should I buy a vintage wedding dress? If I haven't convinced you so far, then let me end by saying that if you buy vintage you will have something truly unique that is more a reflection of your personal taste than influence by current trends, you'll probably have better value for money, and it's a good choice environmentally. One of the reasons a vintage dress appealed to me was helping to recycle, reusing, not being wasteful. Modern fashion has such a big environmental impact, and I wholeheartedly support organisations like Love Your Clothes that are working to reduce this. I admit that even though I've cut down massively, I still sometimes buy 'fast fashion' pieces - but I check the quality carefully and they're still in my wardrobe ten years later getting worn on a regular basis. I may buy a lot of clothes, but I pass on the unused and the neglected to friends, donate to charity, or use old knickers and pants as rags for DIY jobs. 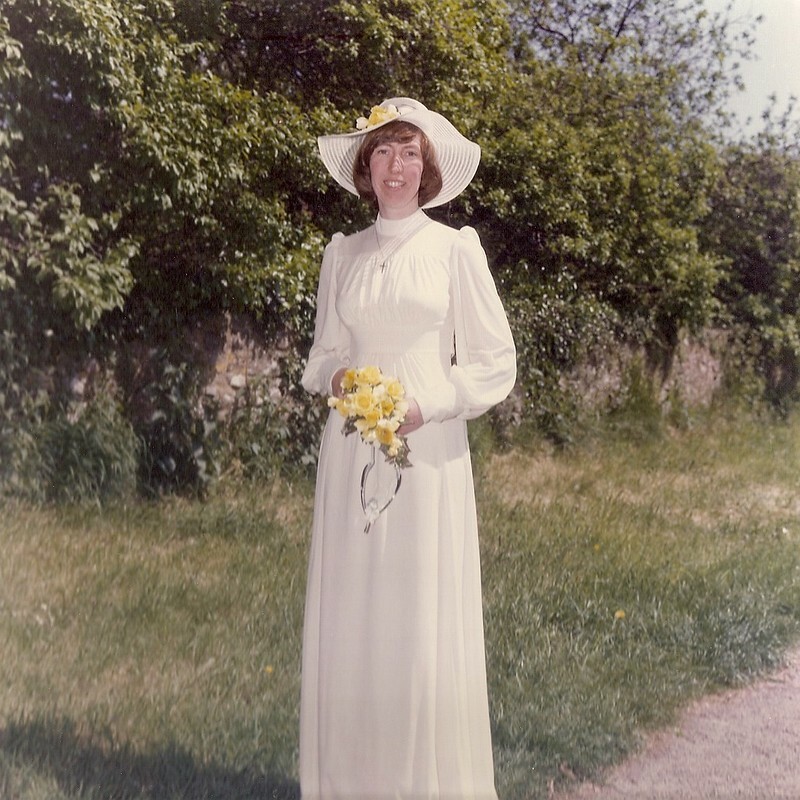 My mother's wedding dress isn't really my style, but who knows if someone else in the family will one day want to wear it? 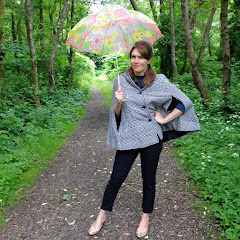 This post was written in collaboration with Love Your Clothes. For more information on how Love Your Clothes is committed to reducing the environmental impact of unloved and discarded clothing please visit their site www.loveyourclothes.org. All words and opinions are completely my own. Great post! I love how much of the advice here could easily translate to vintage fashion as whole. This is such a great post, so much useful info. I think it will become a staple! Can't wait to see yours! This was a really interesting read! I don't know if, when the day comes, I'll go with vintage or modern, but these tips could definitely be applied to regular vintage shopping as well. One thing that I noticed when shopping for a white vintage dress is that thing that are actually labeled "bridal" are way more expensive than any other white dress. Might be a good thing to keep in mind for someone looking for a dress on a budget, especially if they're going for a more casual vibe. 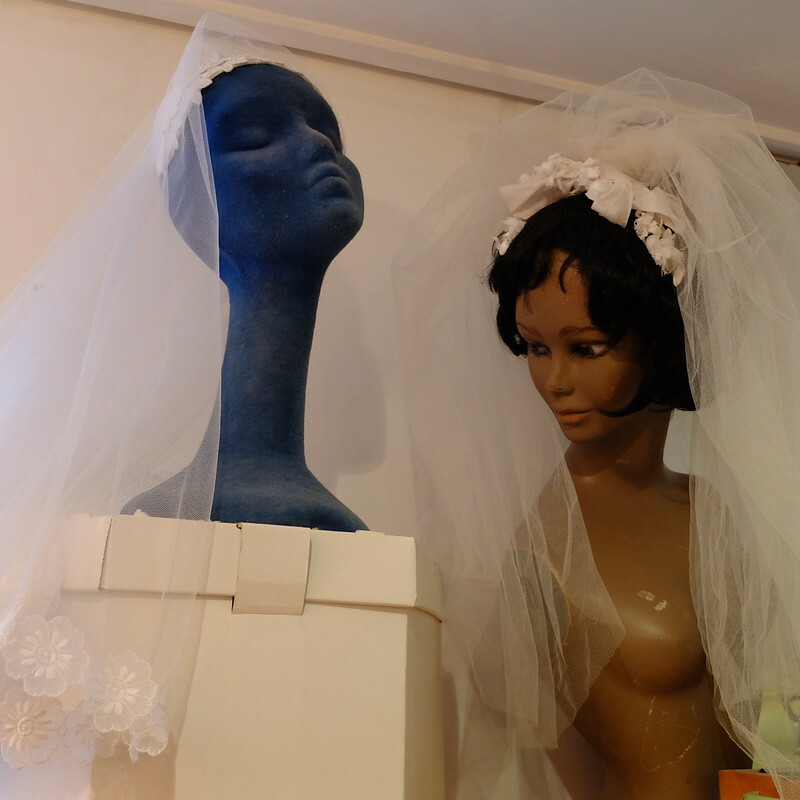 So cute post and photos) I like marriage very much but unfortunately I know many people who can't handle any marriage. I read about it on https://kovla.com/blog/5-reasons-people-can-t-handle-marriage/ and it's a pity... Maybe if they read this post they would change their view attitude to marriage! Good luck.